After joining in with the Bloggers Love Twitter party at the beginning of June, it was so exciting getting an email to say I’d be receiving one! I picked the ‘sunshine yellow’ colour, I thought it’d be something a bit different and it would brighten up my bathroom. 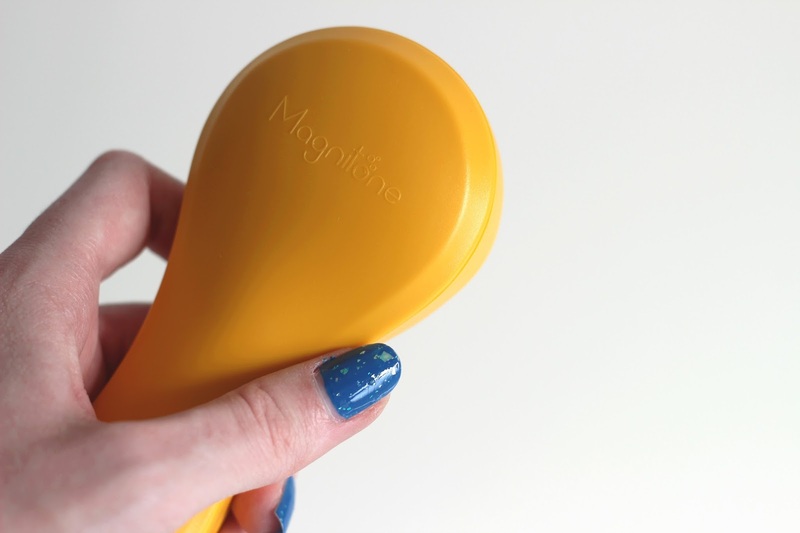 I was impressed with the Magnitone Lucid as soon as I opened the box. First impressions do count after all! Brace yourself for a very thorough review. Before my Magnitone Lucid arrived, I was thinking how it couldn’t possibly be waterproof because is electronic?! As soon as I opened the box I thought how clever it was that it comes with a magnetic charger that you just attach onto the front and away you go. They’ve literally thought of everything you may need in the box as there is an EU plug adapter – meaning you don’t have to go out and buy one when you want to take your Magnitone abroad. I am a skincare obsessive due to having problems with my skin in my earlier teenage years and I’m always looking for new ways to remove blackheads, papules and pustules from my face. Sorry to be gross but we all get spots at some point! 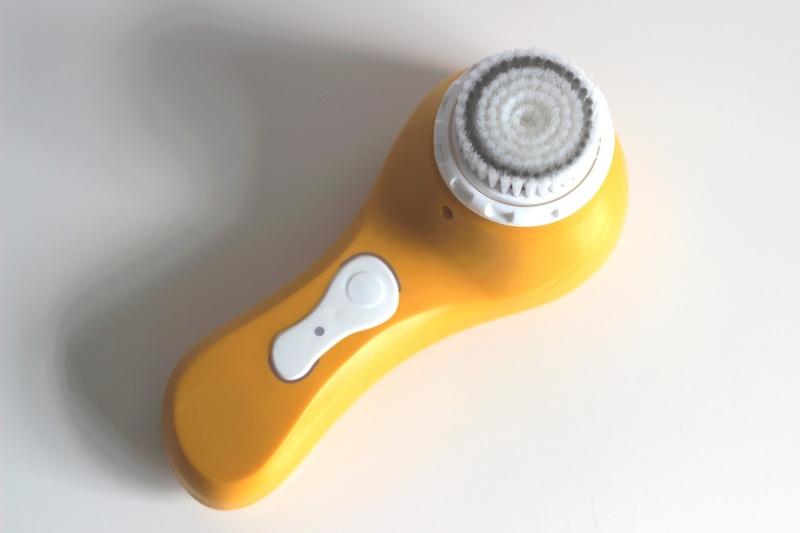 I’d heard great things about this cleansing brush removing blackheads that won’t budge. I have blackheads on my nose, cheeks, forehead and around my lips so I hope this is true! I recently had my nose pierced so I actually have a patch of skin to test against the rest of the skin I’m using the Magnitone on. I can definitely tell the difference, my skin around my nose piercing feels really grotty and rough which is disgusting! Day 1: Skin is looking okay at the moment! Pores and blackheads still very visible but no spots as of yet. My skin feels so soft after cleansing this morning! I will never want to cleanse with my hands again. Day 2: My toner, moisturiser and SPF have all sunk in perfectly this morning – what is this madness! My skin is also looking quite a bit brighter. Day 3: I’ve woken up with three spots, oh no! All part of the process of clear skin – bringing all the nasties to the surface! My skin is so so so soft I would keep stroking it but that would clearly bring on more spots. Day 4: Some spots from yesterday have gone but others have appeared! I can’t get over how soft my skin is, if my make-up brushes were dry I’d be applying make-up to see how well it applies – hopefully tomorrow! Day 5: Got rid of a huge spot on my forehead by cleansing with the Magnitone! The combination of this brush and my La Roche-Posay cleanser is heavenly. Day 6: It’s really hot here at the moment, so I woke up with the greasiest face ever, eugh! I soon got to work on it with my Magnitone and had the smoothest, matte skin. My spots that appeared have now gone and my blackheads look like they’re disappearing slowly. Day 7: This brush is a saviour. My skin is clear of spots and my blackheads are starting to clear. 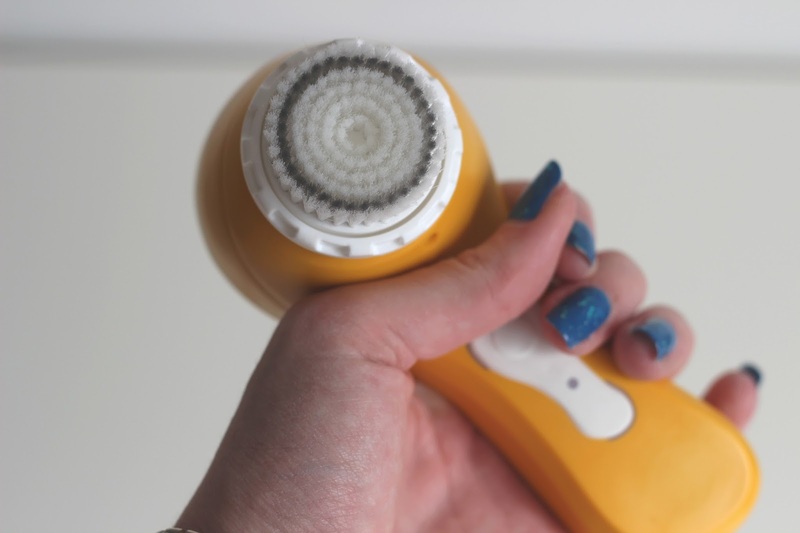 My skin is extremely soft and looks so much less dull! 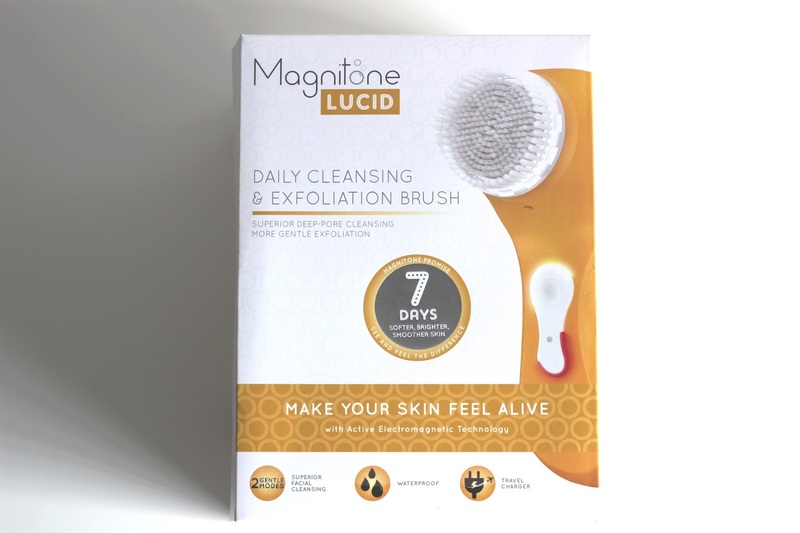 Magnitone promise you have softer, brighter and clearer skin in 7 days and I can definitely say the brush lives up to that promise! My skin feels softer than it ever has before, literally baby soft. I can’t stop stroking it because it’s so soft. My skin does look brighter, it’s usually so dull and looks almost grey due to the amount of blackheads I had on my face. I also can definitely see my skin clearing. I used to have a face covered in blackheads and some of them have definitely cleared out of my pores. If you’d like to treat yourself to one of these wonderful cleansing brushes, you can buy one here and you can use my code BLOVE20 for 20% off until July 31st 2015!